Dr. Jeff Kinsey is an active soloist and chamber musician throughout the United States. Currently, Dr. Kinsey teaches saxophone and music theory at Alma College in Alma, Michigan. Jeff has performed as a featured artist on a number of occasions with the Penn State University Wind Ensemble and has frequently competed on the national stage. 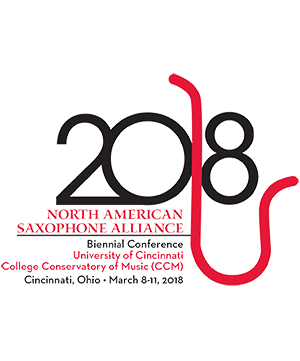 In recent memory, Jeff has been selected as a Senior Division Winner of the 2015 Coltman Chamber Music Competition, Semi-Finalist in the North American Saxophone Alliance National Conference Soloist Competition as well as the Fischoff Chamber Music Competition. He is currently finishing his Master of Music degree in Music theory at Michigan State University where he also holds a Doctorate of Musical Arts in Saxophone Performance. Other degrees include a master’s degree from Penn State University, as well as a bachelor’s degree from Stetson University. I-Chen Yeh Piano A native of Kaohsiung, Taiwan, pianist I-Chen Yeh has been a competition prizewinner in Taiwan, Japa . . .